Endurance-geometry road bikes are racing bikes for the rest of us. 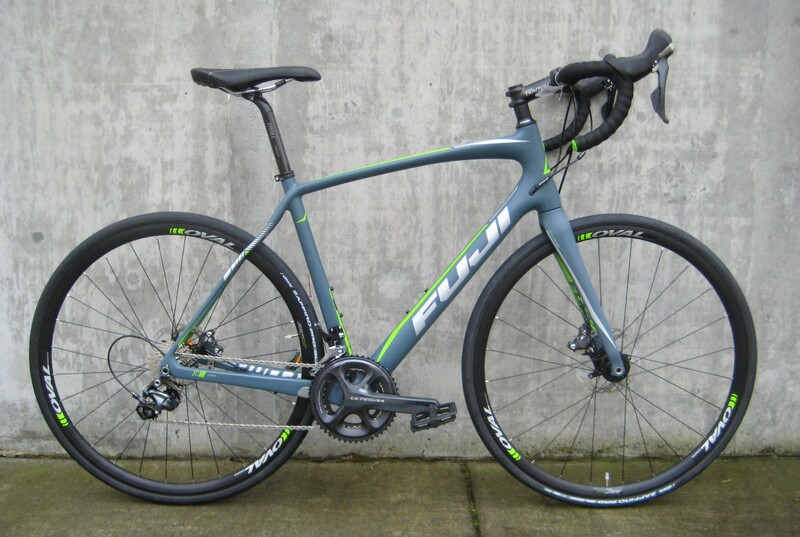 Bikes like the Fuji Gran Fondo weigh-in like a pro’s racing bike, handle like a pro bike, climb and sprint like a pro bike, but are much more comfortable than a pro’s bike. 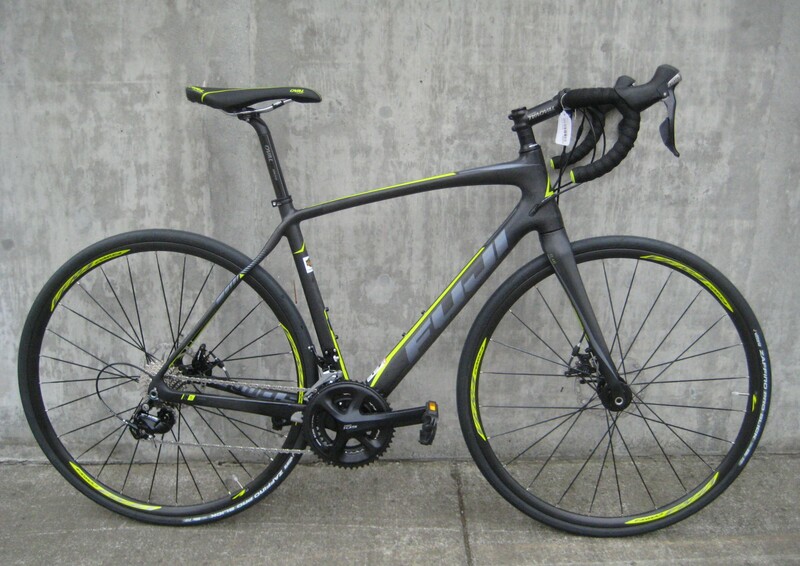 With a taller front-end, greater tire clearance and a slightly longer wheelbase these bikes won’t require you to adopt the low racer position on your bike. 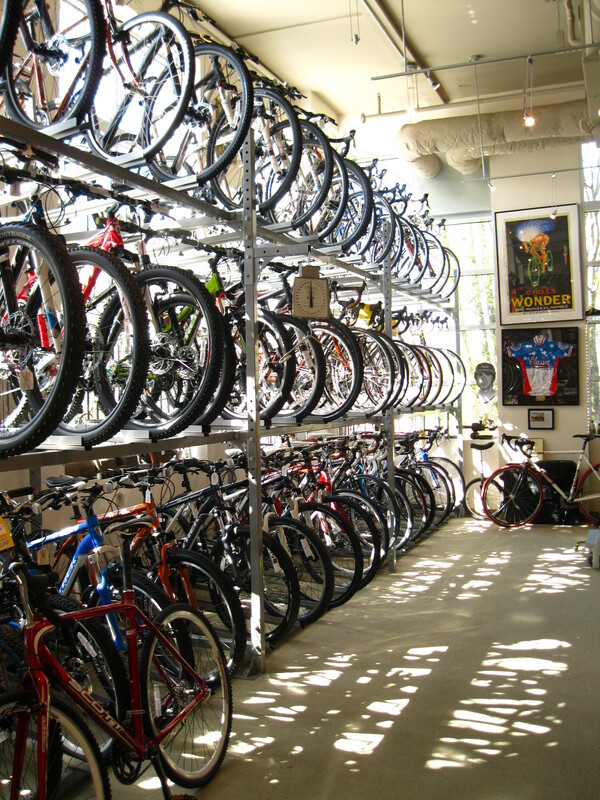 You’re able to fit wider, more puncture-proof tires on your bike and you can pay more attention to your surroundings and less attention to the few feet of pavement in front of your front tire. Road vibration reduction is the name of the game with this style of bike. Specialized would have you believe that a 1/2″ piece of rubber glued into the seat stays does this trick (yet for 2017 they quietly abandoned this ruse) in their Roubaix model. Trek designed a seat post that sways back and forth (and adds $300 in design elements and material to each model) for their pricey Domane. 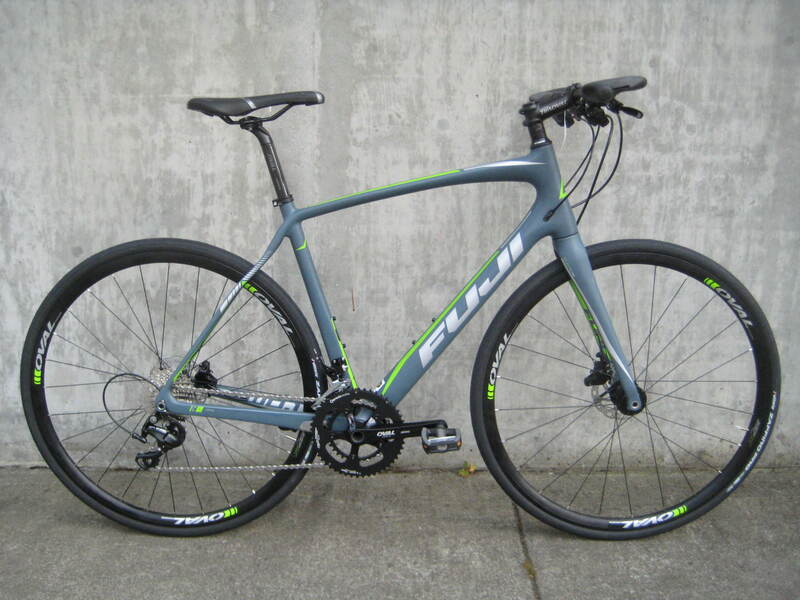 Fuji just added a polyurethane-treated fiber layer in the middle of their carbon lay-up. 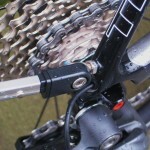 A simple technique that really reduces vibration traveling through the bike without adding hundreds of dollars to the final price tag. Whether it’s your first race, the Seattle-to-Portland ride, your daily commute or your weekly ride around lake Washington, the Gran Fondo series will do just the trick. All of the Gran Fondo models have great features like compact gear ratios, complete Shimano or Sram component groups (not mix & match), internal cable runs, Vittoria tires and Oval Concepts cockpit components. All of the bikes have hidden accessory eyelets that make rack and fenders mount cleanly and easily (and don’t disturb the bike’s beautiful lines if you don’t need them). These bikes are strong, light, comfortable and fast without killing your budget. Available with foul-weather-ready disc-brakes or extra light rim-brakes. There are options and component levels that give you 7 models to choose from between $1600 and $8000. 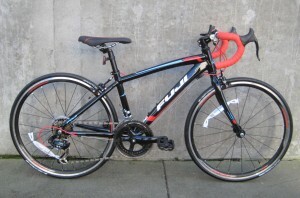 Fuji is a new brand for us, and one of the main reasons that Fuji gets floor space in our store is the Sportif series. 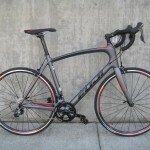 Theses are road bikes with a lot of great features all in one place and all for a good price. The models with a “1″ in their model name feature disc brakes, while the “2″ versions go the light-weight caliper brake route. All of the Sportifs are built around butted aluminum frames that have a nice springy ride quality. They also feature carbon fiber forks up front that handle great and soften the road vibration quite well. One of our favorite versions is the Sportif 1.3. 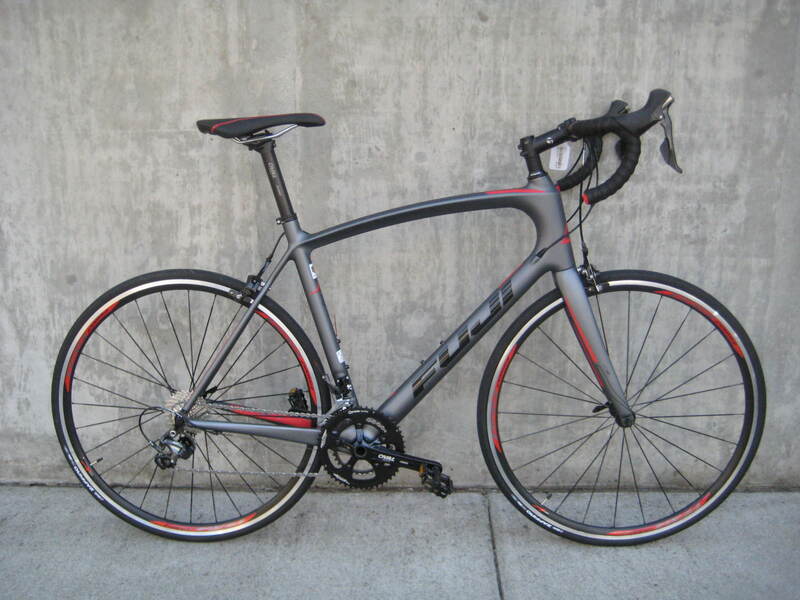 This Sportif features Avid BB7 mechanical disc brakes and a 22-speed Shimano 105 component group. The wheels roll on 28mm-wide road tires, which give you better flat protection and ride comfort than standard 23mm-wide tires. You get eyelets for fenders and racks. The cockpit is outfitted with Oval Concepts handlebars and seatpost (which are nice and light). There’s a compact crankset and a wide-range cassette so the gearing is really good for the hills around here. The saddle is actually quite comfortable. It’s all good stuff (and it will only set you back about $1100). 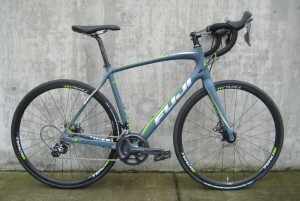 The point is, the Sportif 1.3 and the other versions are all sturdy and versatile road bikes. A lot of mid-level road bikes are just scaled down racing bikes that are too fragile for the daily commute or too uncomfortable for long rides like Seattle to Portland. The Fuji Sportif is a road bike that can do it all. 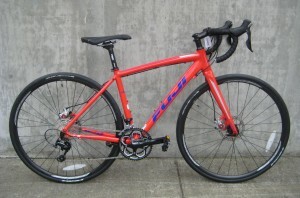 Fuji’s touring bike has been the multi-day touring standard for more than 3 decades. If you’re a committed touring cyclist looking for the utmost in comfort and durability, this Fuji is for you. The steel frame rides great regardless of the amount of weight that is packed onto it. Unloaded, the bike is fun to ride. Loaded, even with front panniers, you can handle it in the most severe cross winds. 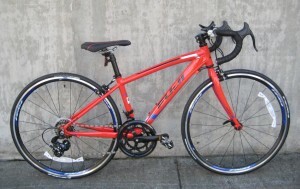 Fuji has picked equipment that is reliable, touring tested and simple to repair in even the most out of the way places. 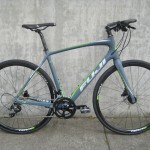 The key features of this Fuji are the frameset, which is made of springy, strong, and surprisingly light cromoly tubing (about 2 pounds lighter than Surly’s Long Haul Trucker), the robust traditionally spoked touring wheels (36 spokes laced to Shimano hubs), and the complete Shimano drivetrain utilizing the best elements of road and off-road componentry. For those of you who want simple and familiar, you’ll appreciate the bar-end shifters and rim brakes. For those of you who want cutting-edge and new (as of 1991) we can substitute integrated brake/shift levers for an additional $100. By the way, would you believe that this bike will cost you less than $1000? Seriously, it’s about $500 off the price of a Trek 520 or a Surly Long Haul Trucker. We don’t know how they do it. This is a rare bike. A real road bike for kids. In stock. As light and well-equipped as a starter racing bike for adults, the Ace 24 is perfect for the little speed demon in your family. 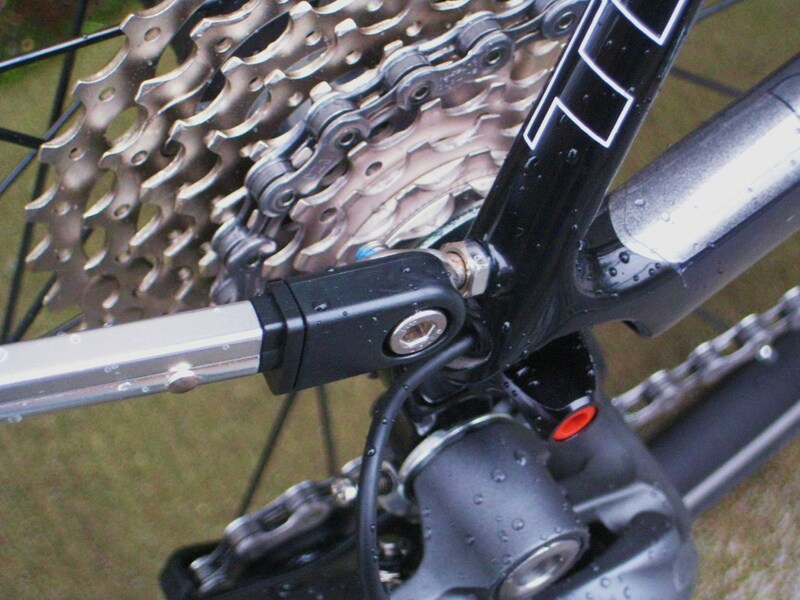 It doesn’t come with Shimano STI levers, opting for simpler (and less expensive) handlebar-mounted toggle switches. 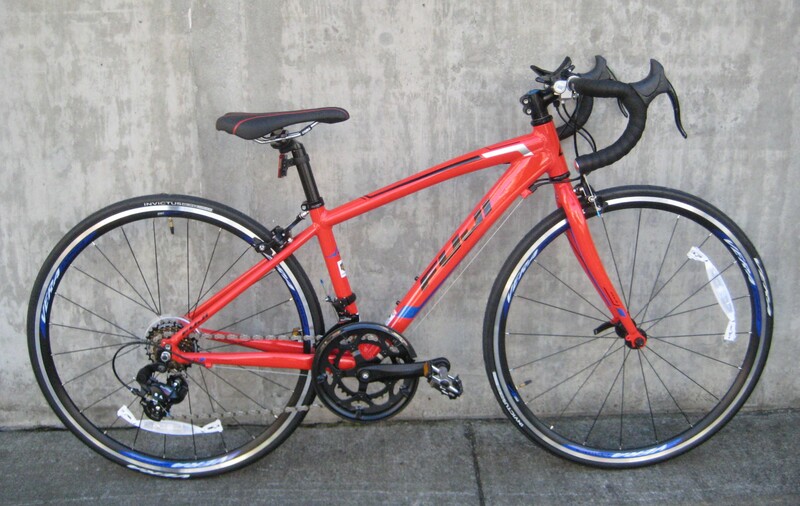 What the bike does have is 14 speeds, quality wheels and brakes and cool styling. The Ace 24 will work pretty well for most kids in the 8 to 12 year age range. 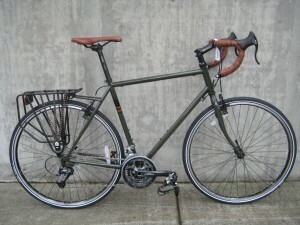 With 24″ wheel, reduced length cranks, a narrow handlebar, and small-size brake levers, this bike will fit just right. 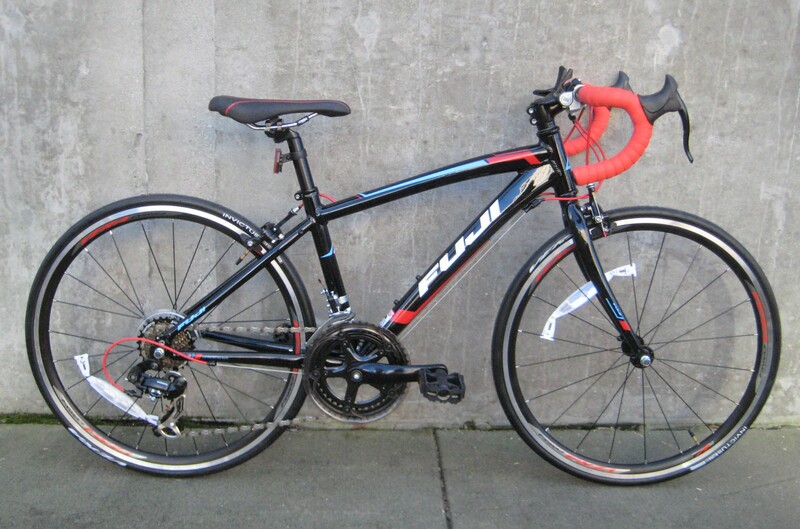 if we need to go a little bit bigger, Fuji does the Ace 650 for kids and adults in the 4’9″ to 5′ tall range. 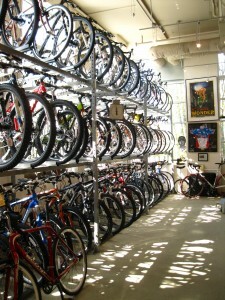 These bikes are exceptionally hard to get our hands on, so if you want one, don’t hesitate to come in and grab it.